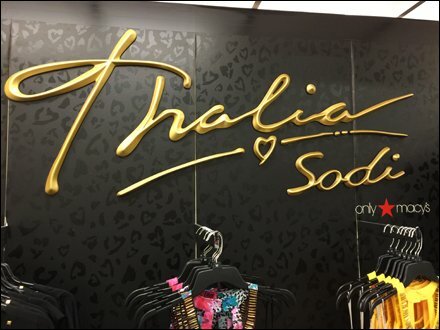 A signature that fills the wall brands Thalia Sodi® larger than life. A footnote lets you know that Thalia is available only at Macy’s. An while some might “heart” their “i’s”, Thalia “hearts” her underscore. CLICK the gallery to inspect the departmental flourish. Of particular design interest is the liquid gold look of the script. Raised inks producing effects similar to this are available for Thalia’s business stationary. 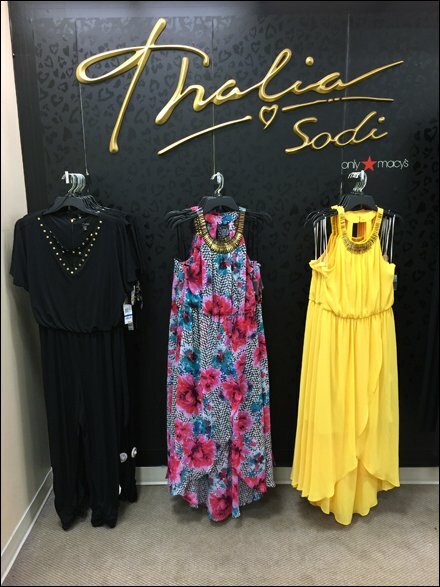 CLICK the thumbnail to see more of Thalia’s apparel offering directly below the Signature.